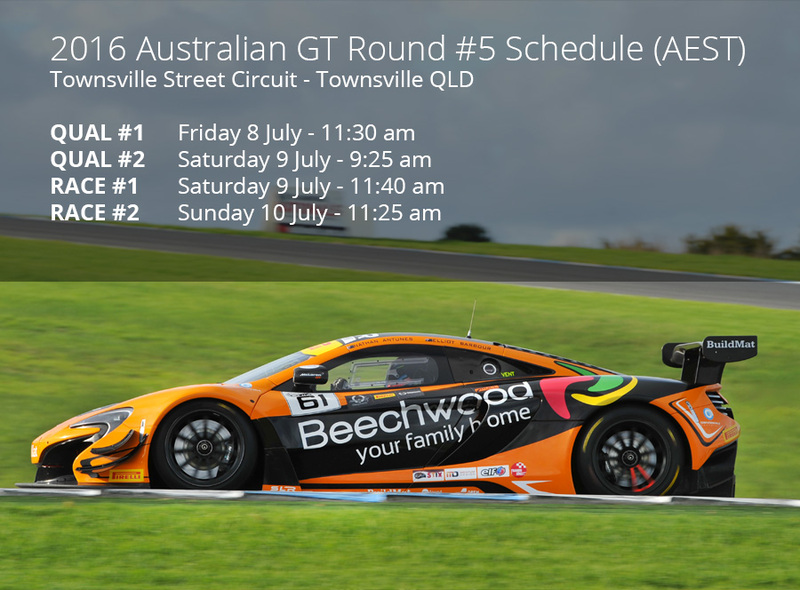 I’m in sunny Townsville contesting Round 5 of the 2016 Australian GT Championships this weekend, Friday 8 to Sunday 19 July. I will be racing in the Beechwood Homes/SLR/BuildMat McLaren 650s GT3 with my co-driver Elliot Barbour. It’s been an exciting competition so far and we’re both looking forward to some great precision racing on the streets of Townsville. Join us this weekend and catch all the action live on FoxSports channel 506.